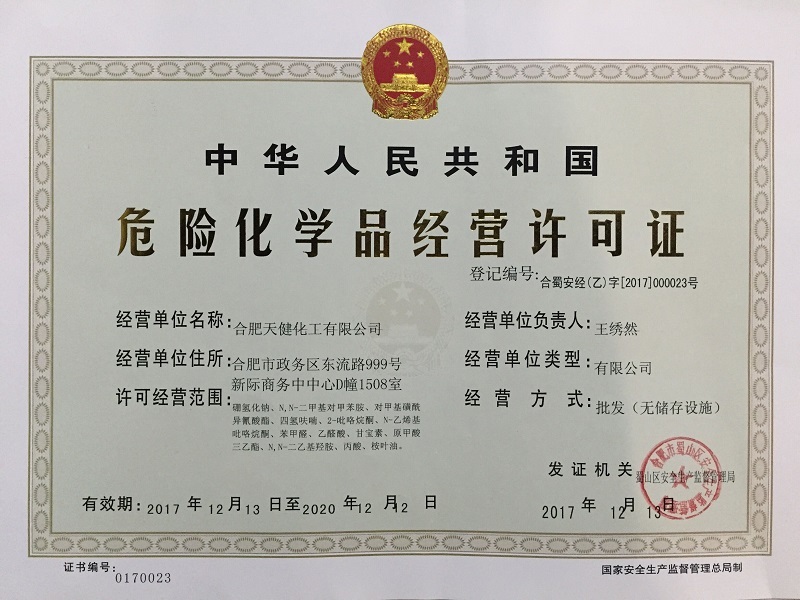 On Dec.13, after rounds of check and inspection, TNJ Chemical got the Dangerous Chemical Permit Certification issued by Provincial Administration of Work Safety. TNJ Chemical has wide range of chemicals, including dangerous chemicals. So the Permit does not only mean that TNJ Chemical has the approval to deal with dangerous chemicals, but also is a standardized company to handle dangerous chemicals.